We all know how to eat healthy — fruits, vegetables, protein — but actually doing it can feel overwhelming. To simplify things, it’s best to keep your kitchen stocked with a few essentials that you can reach for again and again. While this isn’t a complete list of every healthy food on the planet, it’s a starter list of foods that can help you make simple changes to your meals and add more nutrients. Plus, they won’t require a trip to some top-secret specialty grocery store. My advice? Take it one ingredient at a time and one meal at a time. So what if you crushed a bowl of cinnamon toast cereal for breakfast? Make a hearty salad for lunch and plan on scrambled eggs with a smoothie on the side for tomorrow’s breakfast. There’s a growing body of evidence that suggests ditching meat and eating more plant-based foods is critical for warding off disease. The critics then say, “No meat? How do I get my protein?” One answer: Chickpeas! They’re high in protein, packing 39 grams into each cup. 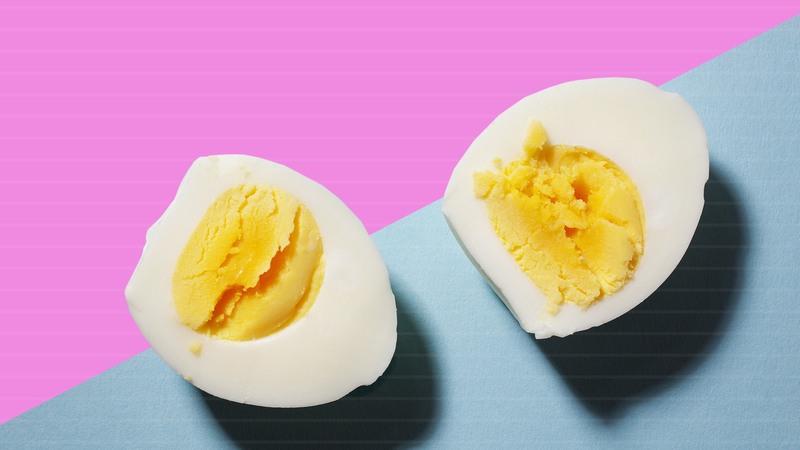 Eggs are packed with protein, vitamin D and vitamin B12, and one study in the journal Nutrition and Food Science actually found that yolks contain antioxidants, which are good for you as you age. But not all eggs are created equal. What hens eat affects the quality of eggs. For example, Eggland’s Best eggs have twice as much vitamin B12 and omega-3s, six times the amount of vitamin D and 25 percent less saturated fat than ordinary eggs, thanks to the all-vegetarian feed it gives its hens. Here’s something you’ve probably heard a million times: Eat more salad. True, salad is good — as long as it’s not doused in creamy, sugary dressing or made only with iceberg lettuce. And it’s not that iceberg lettuce is bad for you; it’s just that, well, there’s nothing to it. Instead, keep cabbage or other green-leaf lettuces on hand to chop up and add into premixed bags of salad where iceberg reigns supreme. Cabbage also makes a great, healthy garnish for tacos. And I’m just gonna say it: Kale chips are not the worst. Love guac and other creamy sauces and dressings? You can almost always sub in greek yogurt and ditch the mayo and sour cream without tasting a difference. Plus, if you’re on the plant-based train, it’s another good source of protein. Good source of protein? Check. Good for your gut? Check. Deserving of a place in your fridge? Definitely. Bananas don’t need an introduction for their health benefits, but did you know that low potassium (a star nutrient in the banana) and depression are closely linked? A 2008 study published in the British Journal of Nutrition found a high-potassium diet can mitigate depression. So, in addition to being a sweet addition to smoothies and having a role as a tasty breakfast side, bananas can help keep your mood stable. Win.